Internet marketing, sometimes referred to as “search engine optimization (SEO), is the process of maximizing sales by helping people find your site easily. In today’s fast-paced society just having a great website will not set you apart from the competition. If people can’t find your site they can’t take advantage of the great products and services you are offering. If you want your business to be found among the millions of other businesses on the internet you will need to adopt a precise strategy that will allow potential customers to find you! The goal is to be found through search engine queries, local business directories, and many other online sources. At Daytona Designs we offer several services that will get your site found! Search Engine Optimization (SEO) – Every day millions of people conduct search engine queries using keywords that are specific to the products or services they are looking for. Choosing the right keywords will mean the difference between success and failure of your site. We will help you choose the keywords that will drive traffic to your website. 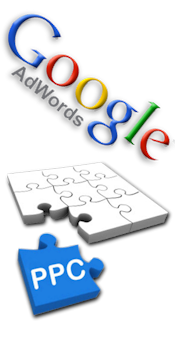 Keyword Research – In order for an SEO campaign to be successful extensive keyword research is necessary. At Daytona Designs we will work with you to fully plan an SEO strategy and keyword plan that will focus exclusively on your products or services. Search Engine Submissions – After your website is “live” it’s important to get it indexed by the search engines. Manually submitting your site to the search engines can be tedious and time consuming. Why not let us take the time to submit your site to the top 200 search engines. Search engine submissions will ensure quicker indexing. Pay-Per-Click (PPC) Marketing – Often the SEO process takes time. 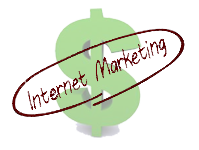 If you want to see immediate results it may be wise to establish a budget for Pay-Per-Click (PPC) advertising. If implemented properly PPC campaigns are an effective means of attracting targeted traffic to your site. Learn more. Email Marketing – Email marketing keeps your customers informed about current products /services you’re offering, upcoming events or other industry related information we wish to share. A professionally designed and executed email newsletter campaaign is an excellent way to keep in touch with your customers and to keep them informed. PR Article Submission – In today’s competitive environment a good public relations (PR) campaign is critical in your internet marketing efforts. PR article submissions provide two major benefits: (1) it spreads the news about your company and (2) providing valuable links back to your site from other reputable sources. Link backs are crucial to your SEO efforts! If your website isn’t producing the results you were hoping for now is the perfect time to contact Daytona Designs. We will provide you with effective, affordable internet marketing solutions that will give you an edge over your competition and help you attract new customers. No two businesses are alike so we will design an internet marketing plan that will meet the unique needs of your business!